Nothing too drastic. 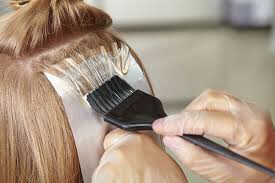 Perhaps you regularly read the major fashion magazines, stare intently at your favorite celebrities latest hair style and wonder whether now is the time to shear several inches or more from- your current cut.The truth is that many people do not know what else to do with their hair. The articles in Hair Cut Advice give you the inspiration and the latest advice you need to try a new hair style or haircut. The great thing about a virtual hairstyle is that there’s no risk whatsoever—no panicking at the prospect of an unappealing cut, no regrets as hair is swept away from the floor of the salon, never to return. You can experiment with haircuts you never may have considereda retro shag, punky spikes, a trendy bob, a casual pageboy and an elegant chignon, among others and your styling journey may lead you to unexpected choices. That’s the beauty of the system: The only limits lie with your imagination. Why do we offer free Hair Advice ? Hair Cut Advice was set up because after reading magazine after magazine only to find no real advice, nor the latest and best advice, we decided to put together our own information resource and have made all this information available for free. That’s not to say the information here isn’t the latest. In fact, it’s about as cutting edge as it gets. By delving into the pages of hair cut advice you’ll find the latest and most informative information so you can plan your next hair makeover wisely. Hereditary hair loss and premature greying are some of the most common genetic conditions, as more than two billion people on earth will be affected by them at some point in their lives. Hereditary baldness, in men also known as male pattern baldness, is not exclusively a male concern. An estimated 25% of women suffer from female pattern baldness but, since their hair loss is diffuse, it is not as easily recognizable as the male form. Because genetics play a decisive role in both of these conditions, no completely satisfactory solution exists yet. Despite that, billions of dollars are spent annually on diverse anti-grey hair and hair-regrowth products, with 90% of them being scams. To separate the grain from the chaff is a time-consuming job. This guide exists to save you time by offering useful info and tips for your research into the potency of available hair treatments in Brisbane. Learn how to identify hair scams, avoid common mistakes and find the most suitable remedies for your premature greying and thinning hair. Get first hand info on hair surgery issues, recommended hair transplantation techniques and instructions on finding an experienced hair transplant surgeon. Shailly Hair & Beauty offers all Hair-Spa In Brisbane. Shailly Hair & Beauty Brisbane's most luxurious hair studio! How many times have you contemplated about getting your hair coloured but did not go on with the process because of the fear of damaging your hair? 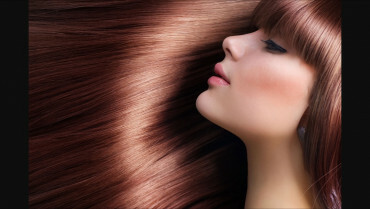 Shailly Hair & Beauty offers all Hair Colouring In Brisbane. To understand your interests and meet your hair colour needs, consult the professionals of Shailly Hair & Beauty. We offer solutions for all your hair colour requirements, be it temporary, permanent, highlighting, lowlighting, global or just a touch up. avail our expert advice and make some vibrant changes! Getting your hair to look gorgeous every day is a struggle. 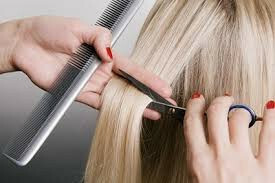 Daily use of hot straighteners and chemical products expose your hair to damage. Permanent Hair Straightening is an excellent option for women who wish to attain a straight, lustrous look every day. Shailly Hair & Beauty offers superior Permanent Hair Straightening services in Brisbane that is efficient at smoothening, straightening and repairing the hair.